Thriving communities require strategic, long-range vision for the future, and anyone coming into Batesville and the surrounding cities in recent years can see that the area is moving forward in big ways. 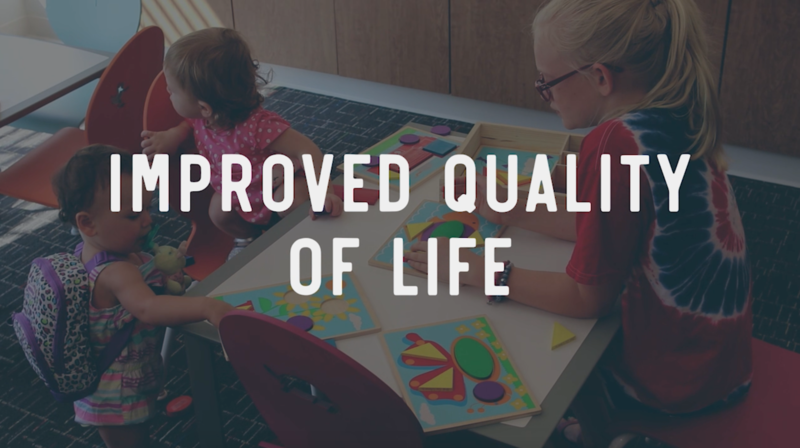 In 2015, the IMPACT Independence County plan was born out of the potential for greater quality of life in the area. The Batesville Chamber of Commerce, under the leadership of Crystal Johnson, aimed to bridge and promote diverse interests in the region through unified community development. This goal required significant community engagement, so the Chamber recruited both local colleges as partners, along with a steering committee of dedicated community leaders. The Batesville Chamber of Commerce, Lyon College, and the University of Arkansas Community College at Batesville came together to rally residents to envision a more prosperous future. Hundreds of citizens completed surveys and joined committees, in which ideas, opinions, and experiences were shared from all sectors of society. Their grassroots perspectives formed the foundation of the IMPACT strategic plan, an extensive, county-wide vision for enhancing life in the region. An important shared belief of IMPACT’s partners and leaders is that residents of the county have the right to strive to create an environment they desire. Outreach efforts successfully led the public to determine the top 25 areas of concern for citizens, which were grouped into four categories. From job creation to quality healthcare to arts and culture, the myriad of issues important to the public were placed under the umbrella of these subcommittees. With continued guidance of the steering committee, the subcommittees met frequently at the onset of IMPACT and were left open to all who wanted to attend and vote on matters under consideration. The committees are ongoing as plans to impact the area stretch out for at least a decade. Ultimately, all the input went into making a comprehensive blueprint organized in 26 strategic goals and 136 workable action items that would allow for momentous regional progress and sustained community engagement. The predominant objective of the the economic prosperity committee was to foster an inviting and progressive business environment in which jobs are provided for all residents. Among the strategic goals outlined were plans to merge all economic development organizations into a single, cohesive Alliance for greater effectiveness, which was accomplished in October 2017. Steps were then taken to start a Business After Hours program and a small business incubator. In 2018, a major goal was finalized with the creation of Independence Promise, a scholarship program for high school students to attend college or vocational training early. The program expands enrollment for the colleges and produces a more highly-trained workforce locally. Additionally, IMPACT supports 10-year plans for economic growth, which include attracting commercial aviation and proactively updating technology infrastructure to bring in cutting edge industry. Recent achievements are only the beginning in planned economic advancements. Recognition of the inherent value and distinctive charm of their Ozark foothills home played a major role in the community coming together to support the IMPACT project. The tourism subcommittee was determined to show the diverse advantages for all generations, whether for college students, young families, or the retirement community. They strategized how to step into becoming a nationally-recognized, uniquely progressive, rural, southern college community with outdoor recreation and adventures for all. An Advertising and Promotions Commission was formed, and the Chamber hired a Director of Tourism to help trademark the area as the “Gateway to the Ozarks.” Strategic goals include emphasizing continued development of Batesville’s historic downtown, which has begun to thrive in recent years, and of the White River waterfront, which can allow for better access to and enjoyment of the tremendous natural resource. The surrounding landscape offers chances to hike, climb, canoe, kayak, fish, hunt, and more. Expansion of annual festivals to increase traffic flow, notoriety, and business volume in the area is also a goal. With IMPACT’s comprehensive approach, many committee values and goals overlapped. The economic prosperity and tourism committees worked to advance education through the Promise scholarships and relocation of the library, because of the intrinsic role education plays in the success of the community. The educational excellence committee laid plans to support and enhance education at every level in the county. Their strategic goals include creating the Independence County Educational Foundation to coordinate efforts and programs, to establish the county as a leader in early childhood and K-12 education innovation, to facilitate growth at local colleges, and to equip a highly trained labor force. 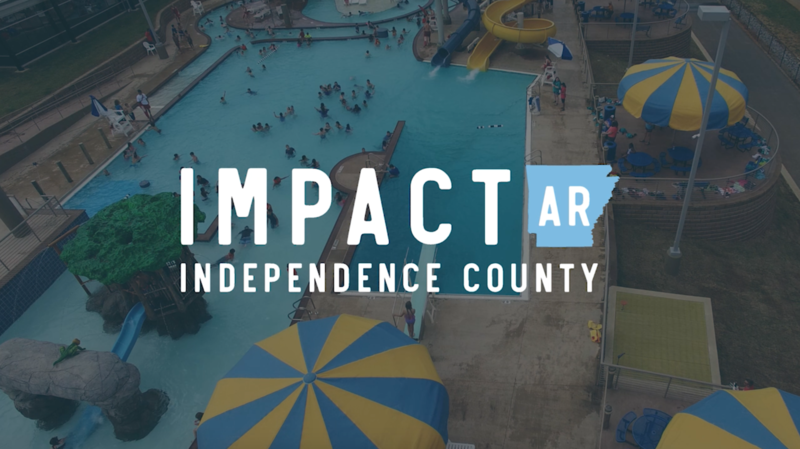 As these goals have begun to be met, Independence County has garnered the attention of groups such as Arkansas ForwARd, which offered assistance and resources for implementing new programs. A primary objective of the IMPACT educational goals is to increase equity and opportunity across the county for all citizens. In accordance with the goals of the healthy living and wellbeing committee, Independence County will become North Central Arkansas’ regional medical hub. The committee developed a number of action steps to work with and support White River Medical Center. Other strategic goals focused on county betterment, such as sweeping plans to improve the image and beautification of the county, ensuring access to local, healthy foods, and enhancing recycling practices. Expanding green spaces with more walking and biking trails and parks is another goals. More physical activity and youth programs were planned, as well as community education, particularly for public safety and substance abuse prevention and treatment. In only a few years, the unifying and efficacious influence of the IMPACT Independence County plan has become undeniably clear, as the county has received numerous accolades for its extraordinary work. In 2017, the region accepted multiple Arkansas Trendsetter awards for Wellness, Environmentalism, Public Safety, and Infrastructure. Businesses, schools, the hospital, and the tourism department are among other organizations which have garnered acclaim. Beyond awards, the true achievement can be found in Independence County citizens who are enthusiastic about the changes. As Johnson put it, “There’s a level of unity in the community now that simply did not exist before.” Many plans are still in the works, and there is much still to be done. Impact Independence from Ariel Carpenter on Vimeo.